If you live in Houston, TX, you’re likely well familiar with allergies. And, allergies, chronic sinusitis (chronic rhinosinusitis) and other related conditions are a prevalent medical problem not only in Houston, but in the entire country. In fact, the National Institutes of Health reports that accounts for nearly two percent of all primary doctor visits and over 37 million people in the U.S. alone are impacted by chronic rhinosinusitis. 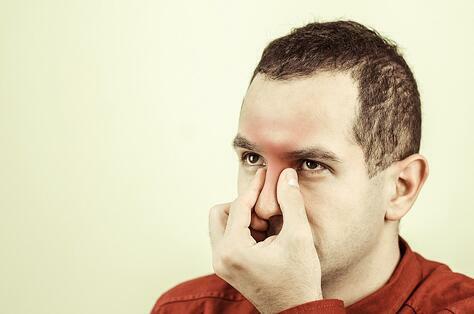 If you have recurring sinus problems, chances are you'll try anything to get it under control. In the past, sinus surgery had been the go-to procedure to treat sinusitis. However, when you have traditional sinus surgery, the surgeon removes bone and tissue, which can lead to the formation of scar tissue, persistent nose and sinus infections and inflammation, and recurrence of sinusitis. Previously, a great majority of U.S. sinus-related surgical cases for treating chronic sinusitis consisted of functional endoscopic sinus surgery (FESS). Today, ear, nose and throat specialists and surgeons, however, are realizing the importance of restoring and preserving normal sinus anatomy. Balloon Sinuplasty (BSP) is a breakthrough treatment for treating Houston allergies and sinusitis. Balloon sinuplasty performed by Houston Ear, Nose, and Throat Clinic is a straightforward in-patient procedure that's fast and convenient. The first step in preserving tissue and getting away from destructive access methods required for FESS is balloon sinus dilation (BSD), also referred to as balloon sinuplasty. What is balloon sinuplasty? This procedure provides patients with relief from chronic sinusitis while preserving and restoring their normal sinus anatomy. Balloon sinuplasty is a minimally invasive endoscopic, catheter-based system for the relief of sinusitis. Its technology uses a flexible, small sinus balloon catheter that opens your blocked sinus passageways and restores normal sinus function and drainage. The FDA approved the balloon sinuplasty procedure in 2005 and since then, thousands BSP procedures have been performed. It has an excellent safety profile. Rather than cutting into bone and tissue, balloon sinuplasty uses a balloon. The surgeon inserts a flexible, thin catheter into your affected area, which gently expands and parts the tissue. The surgeon sprays a saline into flush anything out and restores normal drainage. You're an ideal candidate for BSP if you've already exhausted other medical management of chronic sinusitis options, like steroids and antibiotics, or if you have acute recurrent sinusitis at least three times a year. You're also an ideal candidate if your CT scan shows mild disease with mostly bony obstruction rather than swelling. Houston balloon sinuplasty indications for sinus problems are similar to the indications for FESS. Balloon sinus dilation, like FESS, allows as possible access and ventilation as possible of your obstructed sinuses to allow ongoing maintenance therapies to effectively work and normal functioning to resume. ostia nasal opening. If you have a moderate or limited disease that involves these sinuses, you'd be considered for this choice of treatment. If you've had your sinus problems diagnosed early, balloon sinuplasty could be particularly beneficial to you. Further, BSP could be effective for some of your sinuses if you've had this problem for a long time. Your Houston ENT doctor will determine if and discuss with you if you're an ideal candidate for partial or full balloon sinuplasty. Treating headaches around your eyes. Treating recurrent sinus infections that haven't responded to medication. Treating foul taste in your mouth or chronic bad breath. Treating difficulty breathing through your nose. These are indications you may benefit from BSP; however, you can talk with your Houston ENT doctor to get a full list. Any surgery comes with risks, and balloon sinuplasty is no different. But, it's been shown to be effective and safe. In fact, certain studies have reported the safety and effectiveness of this procedure, including sinus patency, radiographic evidence and improved sinus-related quality after the procedure for up to two years. The study examined the adverse events during an assessment of the procedure in 28,500 patients and identified only three major complications totaling 85,000 treated sinuses. Minimally Invasive: This procedure uses soft, small and flexible devices that the doctor inserts through your nostrils to gently open your sinus passageways when blocked. In most cases, there's no bone or tissue removal. Reduced Bleeding: Since the surgeon doesn't remove any bone or tissue with this procedure, it results in reduced bleeding when compared to regular sinus surgery. It also doesn't require uncomfortable nasal packing. Improved Recovery Time: You experience fast relief with this treatment; however, each patient's recovery time will differ. Generally, you can expect to get back to your normal daily routine within 24 hours. Convenient: The balloon sinuplasty procedure is done comfortably and quickly in the Houston ENT doctor's office. Keep in mind, it's difficult to definitively know how effective balloon sinuplasty will be in helping your sinus and nasal condition unless you give your doctor your complete medical history, testing, and physical findings. But, you can talk about the potential benefits with your ENT surgeon. Any office nasal procedure will come with risks, like nosebleeds, fainting, pain and fast heartbeat after local anesthesia. You may also experience cheek or lip numbness with sinus puncture under your lip. 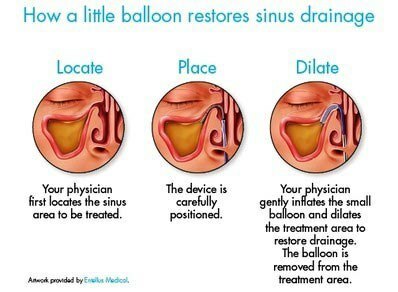 Balloon sinuplasty is less invasive than traditional sinus surgery and has a low complication rate. Tissue Damage: There's a small risk of mucosal/tissue damage from the expansion. Optical Damage: Since the procedure is being performed near your eye, it could affect the optic nerve; although this is rare. Again, complications of balloon sinuplasty are rare. The best advice is to have the procedure performed by an experienced Houston ENT surgeon. Be sure to sit down for a full consultation ahead of time so you know what to expect with the procedure and learn the benefits and the risks for your individual situation. 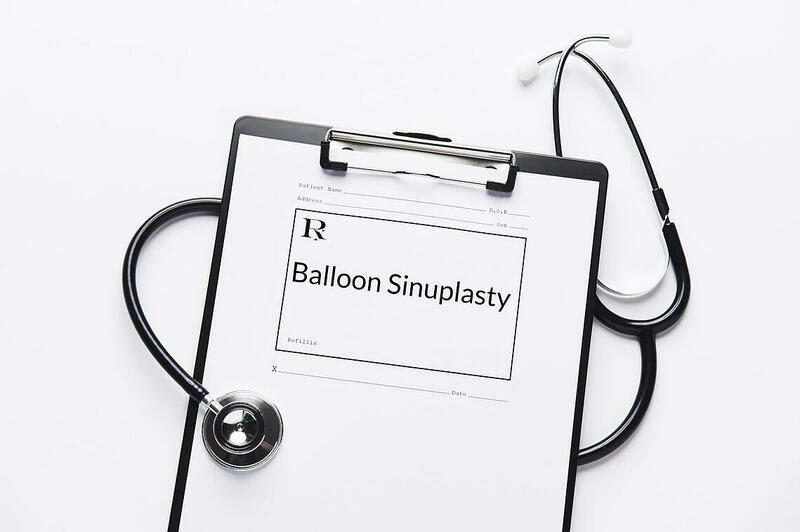 Next, we’ll be discussing the balloon sinuplasty process, side effects, and recovery.